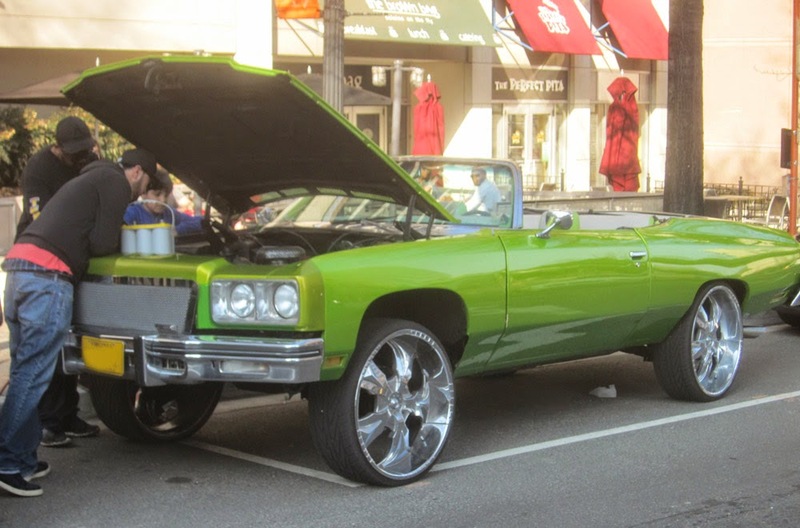 This past weekend a lime-green 1975 Chevy Impala was cruising the streets of Rosslyn. This hotrod has a much bigger engine than the 1964 Spitfire race car also seen in Rosslyn. Unfortunately, the Impala had some engine trouble. If you want to avoid that sort of problem, ride a bike.